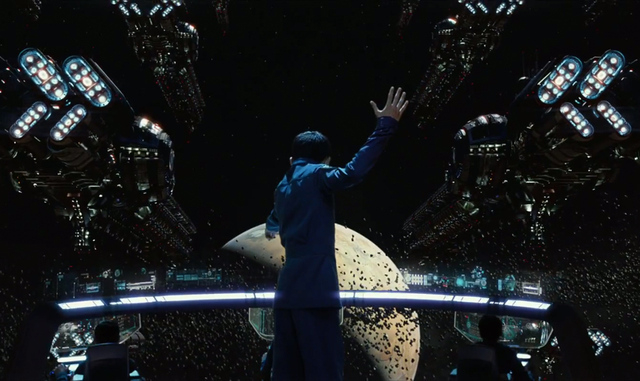 Ender's Game: "It's not just a thrilling adventure about space and war. It's also a thoughtful story about growing up and figuring out not just who you are, but who you hope to become. And with a third act that refuses to pull its punches, it's easy to imagine that many will cling to this more mature take on a child savior tale just as millions have to the book on which its based." About Time: "Beyond being a movie that will make you laugh and cry, About Time is that rare cinematic treat that can make you better appreciate life itself." Last Vegas: "There's nothing here you haven't seen in some other Vegas/bachelor party movie. It's just that this time there's a slathering of jokes about artificial hips, erectile dysfunction, prostate cancer, old lady cellulite, and leering dirty old men."